This item is good for up to 10 PCs / Devices plus it includes both 32 and 64 bit version. Click here for 1 PC product. Confused as !!!. Placed order for Windows 10 PRO. Received the key ID. Family medical problem prevented from download immediately. Next I see a refund on screen. Purchased Windows 10 Ultimate for a 10 year old computer with Windows Vista for business. The computer had drivers that were not compatible but I was able to install on an old laptop. 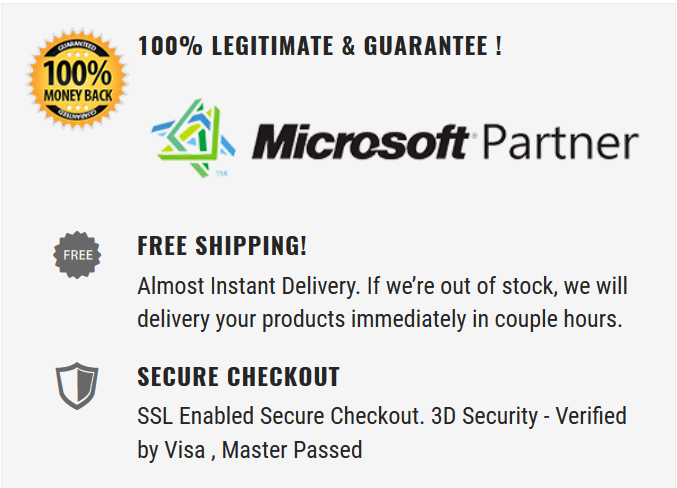 I did receive excellent support from Microsoft as advertised by msofficetek.com. Download of software went smoothly. Thank you! The Windows 10 pro is working fine. Also the follow up phone call to make sure I was satisfied was an unexpected and nice surprise. Easiest way to purchase a license for windows. Easier in fact than buying one from Microsoft.